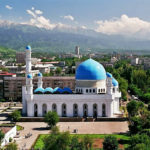 Панорама микрорайона „Самал“. центральное здание с голубыми куполами – Центральный музей Казахстана. 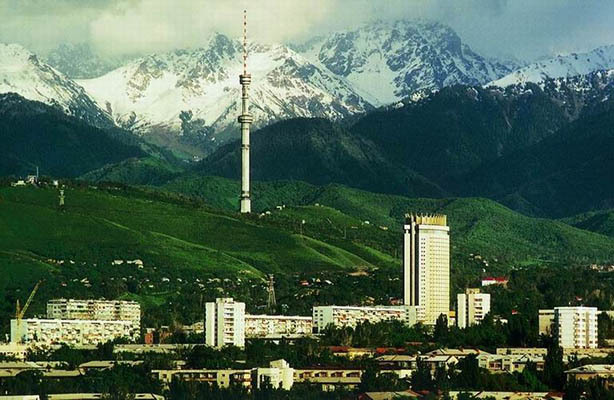 Almaty City could be called the Kazakh New York, after the name of both of them is related to apples. 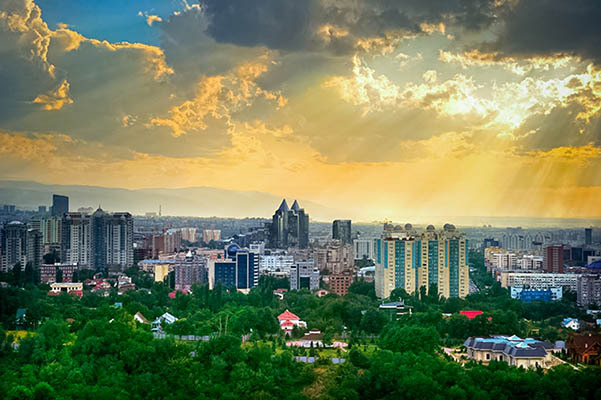 However, for the New York called the „Big Apple“ – is an unofficial naming and Almaty is translated from Kazakh as „apple“. 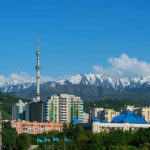 This romantic definition given once the capital of Kazakhstan, was given to the city in gratitude for the wonderful fragrant apples, these crunchy and juicy fruit pleasing to the whole country. 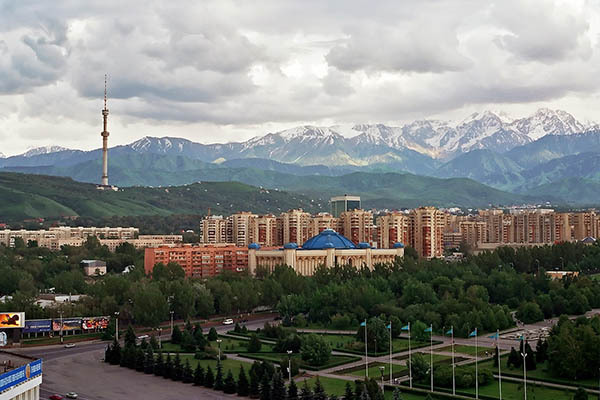 The largest city, Almaty, emerald, only recently changed its status. 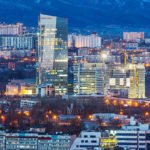 The capital of the state for decades of the last century, it is only 3 years before the onset of the 21st century has given this prerogative Astana. 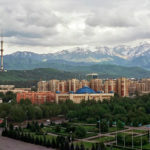 However, the city still has a special status and secretly called the southern capital of Kazakhstan. 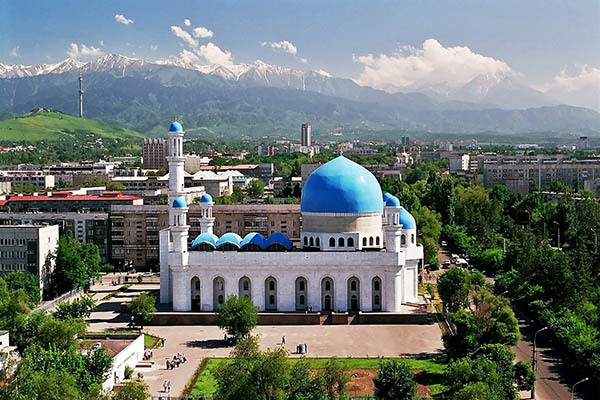 Activities in Kazakhstan, as well as vacation in Uzbekistan, for many begin with a visit to the capital. 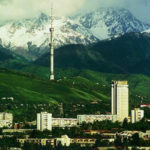 Not only the colorful history famous city, carefully guarding the heritage of our ancestors, this metropolis with curiosity and confidence looks into the future, trying to sensitively respecting the heritage of their ancestors, Almaty give even more beauty and convenience. 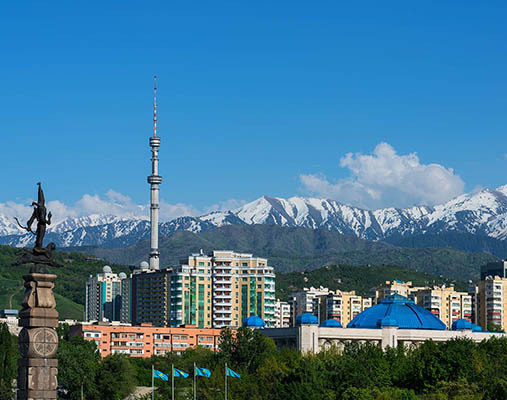 Therefore, tourism in Kazakhstan is developing even faster, tourism in Uzbekistan, reviews say about it. In 2011, there appeared a subway that amazing for lying in the mountain city, moreover, in a seismically active zone. 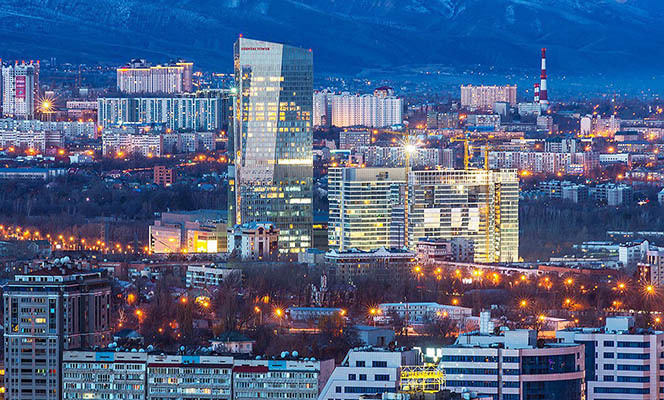 The amazing quality of work performance and well thought-out infrastructure allowed Almaty „underground“ to win the award for the quality of ESQR hand, the European Society for Quality Research.